A tiny home is a multi-tool to meet personal goals, financial and lifestyle, and community needs from shelter to quality, affordable housing. What other kinds of housing can you say that about? It's a fill-in-the-gaps solution. Tiny houses come in many styles, and appeal to people of all walks of life. 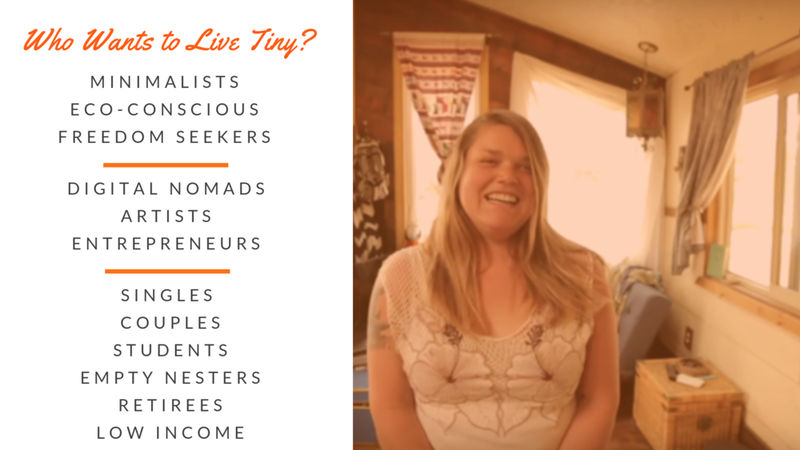 And of course tiny living has been around since the beginning of time. In the modern day, housing options are very limited. More and more are bootstrapping their own housing solution by building or buying a tiny house. In the US, we have all seen the downsides of excess and the limits of the housing market. We can all benefit from living more simply and in smaller, more environmentally-friendly structures. Tiny living in not just for one particular socioeconomic class of people, and is not just about affordability. Frequently, tiny dwellers are motivated by a combination of many factors. Choosing to live tiny tends to emphasis experiences and relationships, over things. Though the choice to live this way is very personal. The modern tiny house movement is centered on the concept of self-empowerment-- taking direct control of your life and your quality of life by re-prioritizing what's most important to you and crafting a lifestyle and home around that. Tiny houses aren't right for everyone. Yet it’s important to recognize that they can make a quality home for many. Would you welcome a tiny dweller in your community, or in your neighborhood? Tiny houses are typically recognized as dwellings 400 square feet and under, on wheels or on a foundation. The typical tiny house on wheels (THOW), aka movable tiny house is built into a trailer, using traditional housing materials and techniques. If desired, the wheels can be removed so that the house can be set on a foundation. 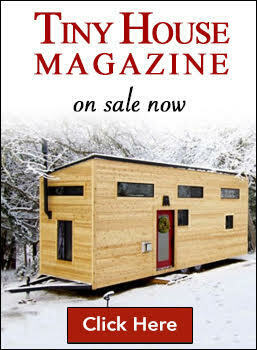 It’s important to point out that a “tiny home” can really be anything, from traditional RVs, yurts, to converted fill-in-the-blanks—school bus, grain silo, train car, etc. 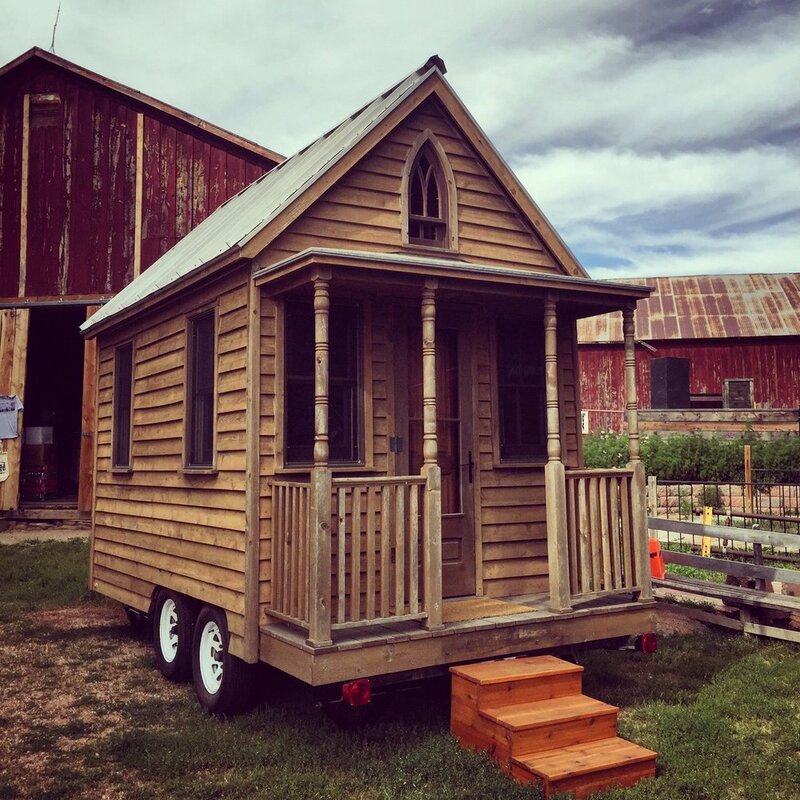 3 major myths about tiny houses on wheels, and why mobility is worthwhile. To help win over the hearts and minds of neighbors and policymakers, we all need to provide a clear of understanding of the benefits of a movable house. Tiny houses on wheels originally came about as a means to get around restrictive codes. But they quickly became attractive to many as a mobile asset. 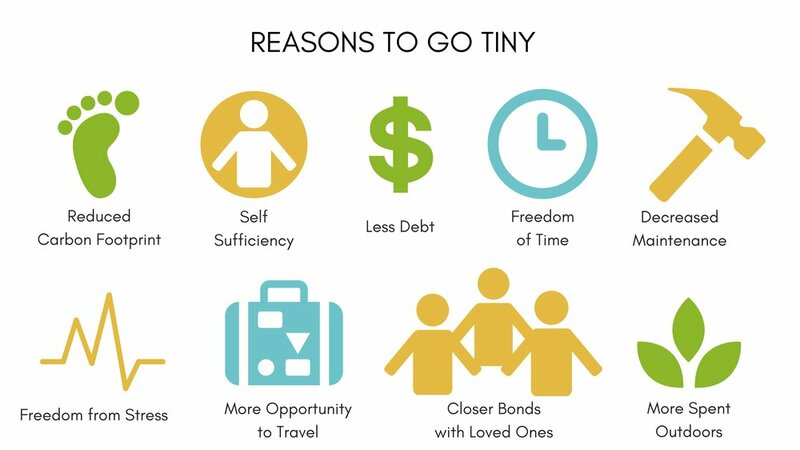 Whatever life changes arise, you can take your tiny home investment with you. 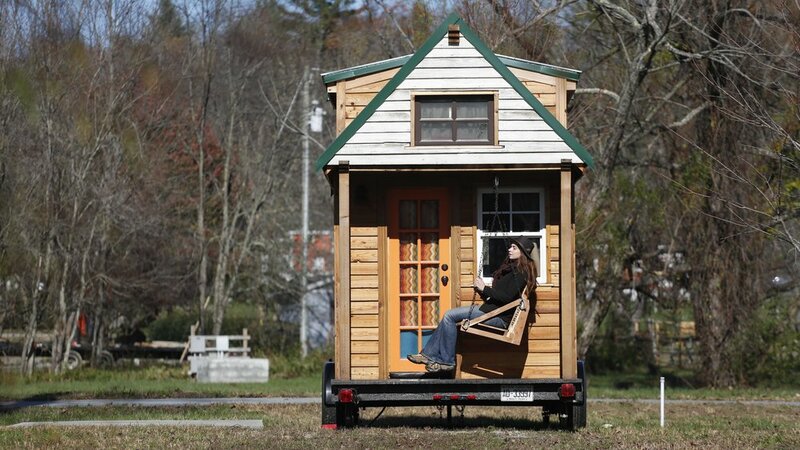 The majority of tiny house on wheels dwellers only move 1-3 times ever, for a new job or to be closer family, etc. What Americans tend to forget is that living simply and in small structures is a way of life and size of housing that’s been around since the beginning of time, fom cave dwellings to pioneer cabins and beyond. In the 20th century, there are multiple examples of small structures popping up to meet housing demand or as an escape from traditional thinking, from early mobile homes addressing post-WWII housing needs to the embrace of simple living in the back-to-the-land movement of the late ‘60s and ’70s. The merits of simple living have been explored in many great books in the last thirty years, with more and more being released from the excessive ’90s and into the 21st century. 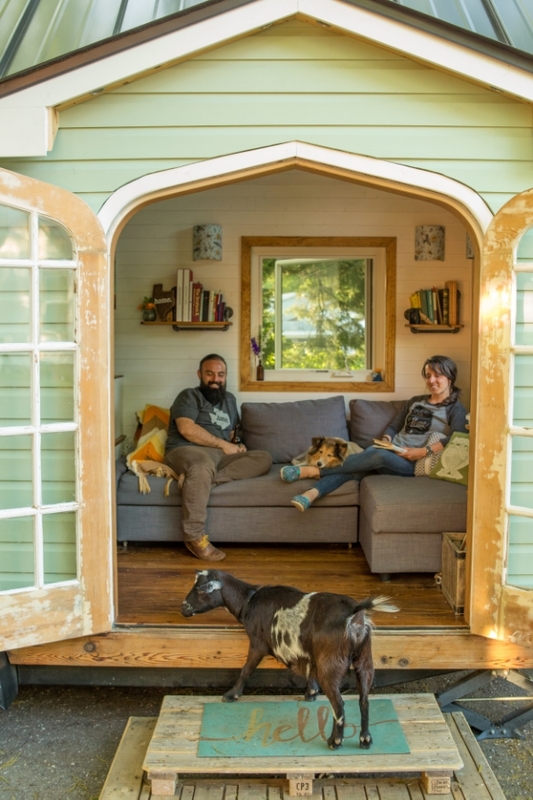 Jay Shafer built his first tiny house on wheels in 1999, not long after that, he co-founded the Small House Society. Then in 2006, he received national exposure on Oprah, top taste-maker of the time. Just in time to enter America’s consciousness before the Great Recession hit. The housing crisis of 2008, elevated the tiny living concept tremendously. Downsizing out of necessity has slowly led to a powerful national paradigm shift around the meaning of home and success, set to the backdrop of the destructive culture of over-consumption, crippling stress, and economic inequality. For many, a new American dream emerged, one of reduced debt and greater freedom that can be achieved by tiny living. 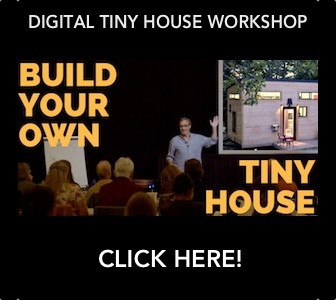 The tiny house movement has since been slowly simmering over the past ten years, and more recently exploded, thanks to the big exposure bump from the Netflix released documentary Tiny in 2013, followed by the cable debut of tiny house shows in 2014. The tiny house movement is worldwide. It has gone beyond trendy; it’s a lasting trend toward more economically and environmentally sustainable housing. 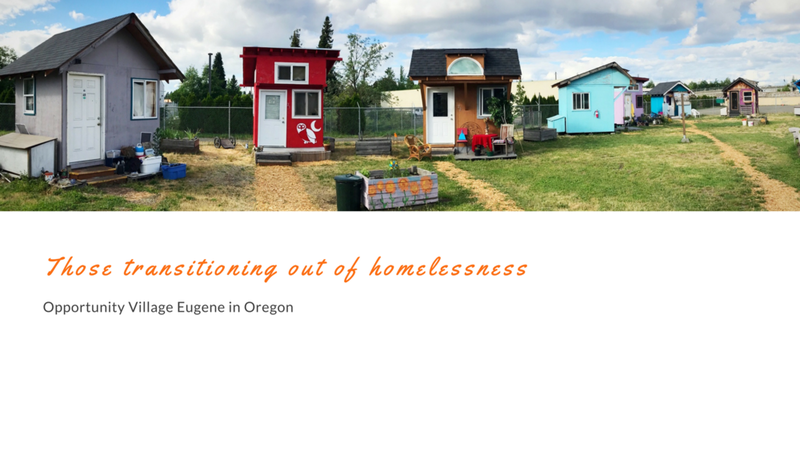 Grassroots advocates are working to legitimize tiny housing through educational initiatives and call for zoning inclusion. Legal acceptance is critical for gaining access to financing, insurance and more secure placement of your tiny home. The biggest obstacles are restrictive zoning and building codes. These are being overcome in a growing number of cities and in model building codes. This precedent provides a how-to guide for other cities and states. 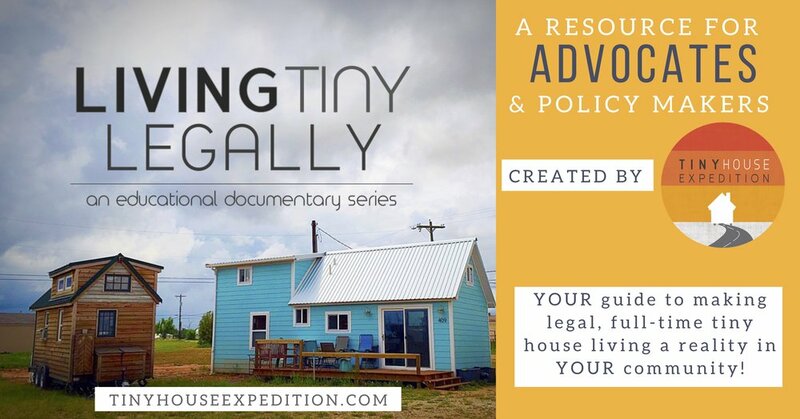 To learn more, watch our docu-series, Living Tiny Legally. The tiny house movement is a force for positivity. Empowering individuals and enabling communities to create more opportunities for home, from the physical structure to a sense of dignity. What defines home for each of us is incredibly personal and more often than not comes from a place of love. Home represents a beautiful spectrum of meanings. Each meaning is valid. Nothing is more intimate than one's home—a place, a structure, a feeling, a state of mind. One of the most powerful things you can do is make someone feel welcome, at home. For us, home is a sense of community. A feeling of belonging and security. A place of our own, where we can be our best selves. It's our cozy tiny home; it's simply being together. There’s nothing like building or living in an unconventional house to make you reconsider the idea of what makes home, home. 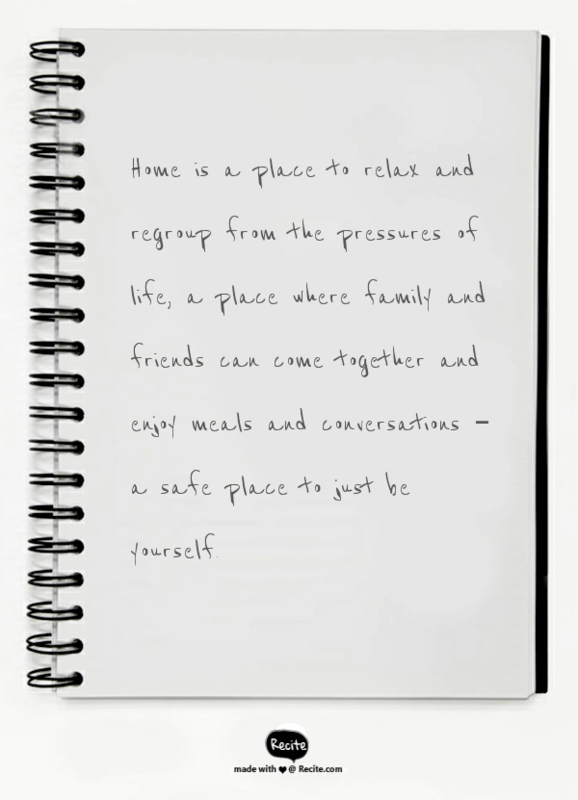 The meaning of home is very personal and goes beyond the physical structure. Home is a state of mind. Even those with no roof over their heads can have sense of home. He could be a home anywhere, because home wasn’t a place. it was sharing good meals and where you hung up your art. Join several of your favorite tiny housers from the movement and TV for a special Tiny House Story Time of "The Big Adventures of Tiny House". Featuring Zack Giffin, Bryce Langston, Jay Shafer and many more. Charming and funny- great for tiny house fans of all ages! 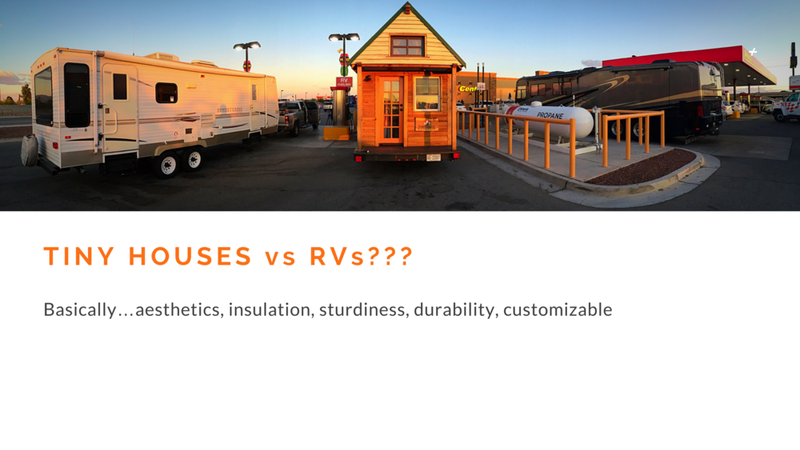 Please email us your answer at info@tinyhouseexpedition.com. 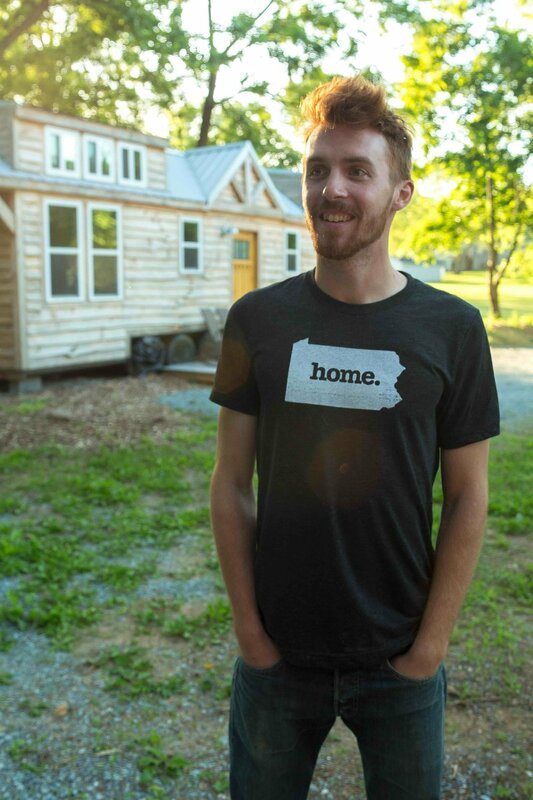 Home State Apparel and Tiny House Expedition have a shared appreciation for the many meanings of home. As we travel the country, we explore the diverse landscapes and tiny house people of America to find out what makes home, home. 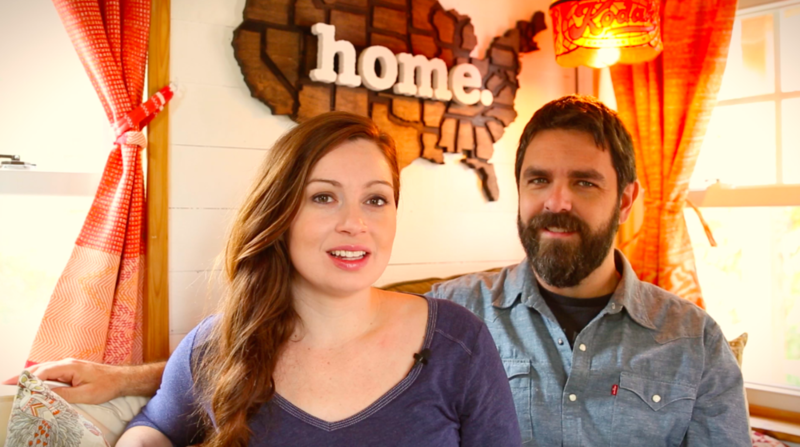 Meet Kothney-Issa and Marek, a young couple loving their brand-new tiny house. They moved from a large loft apartment to 24’ home on wheels. For them, downsizing didn’t mean sacrificing on the important things to them, like kitchen counter space and head room. Marek is 6’ 5”! This is definitely a tall man friendly tiny house. As Marek puts it, the tiny house feels even more comfortable because it’s theirs; home-ownership just feels better. They are now one big step closer to their long-term financial goals. 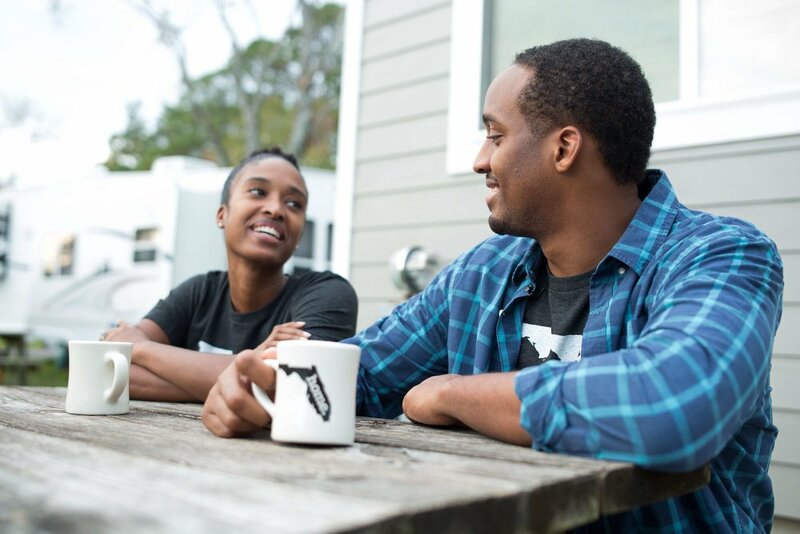 Home is more than just where they park it in Jacksonville, Florida, it’s simply being together. And for Kothney-Issa, a “fun-size” living experience means more quality couple time. Welcome to Tiny Estates, a tiny house resort community, with short-term rentals and long-term parking spots. Meet the owner, Abby Hobson, a young entrepreneur with a passion for experience making. 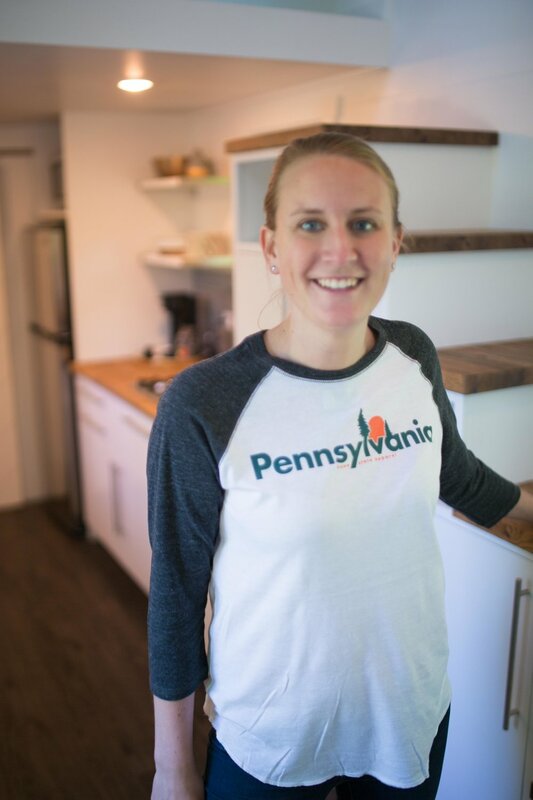 With the help of her team, including on-site manager and tiny dweller, Cody, Abby is creating a beautiful village for those looking to try out tiny living or a place to call home. 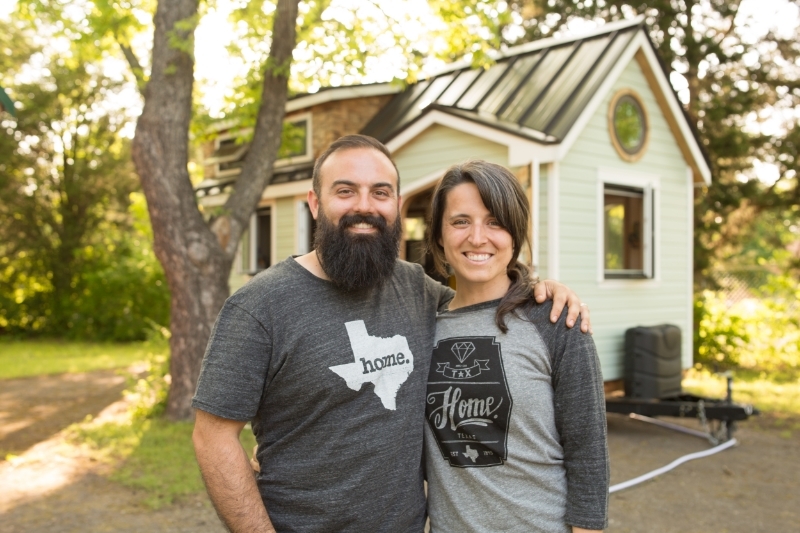 Meet Cody & Randi Hennigan, the DIY tiny house on wheels builders behind The Best Little House in Texas. Their home was lovingly crafted with materials that represent memories and experience of growing up and falling in love in Texas. The result, a beautifully minimal but rich living space that perfectly reflects their personalities. Meet Wes and Savanna, two financially savvy recent college grads and adventure lovers. 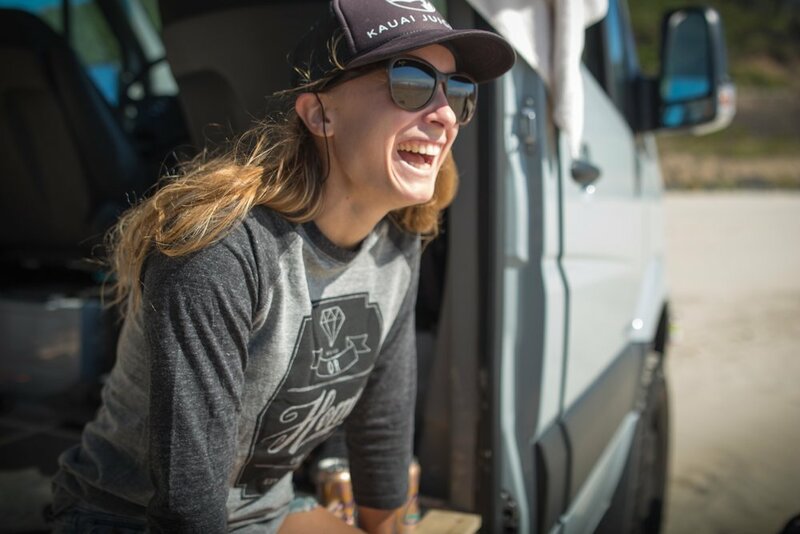 Savanna grew up on a sailboat together they are making their land yacht, a converted 4x4 Sprinter van. This will be their dream tiny home. 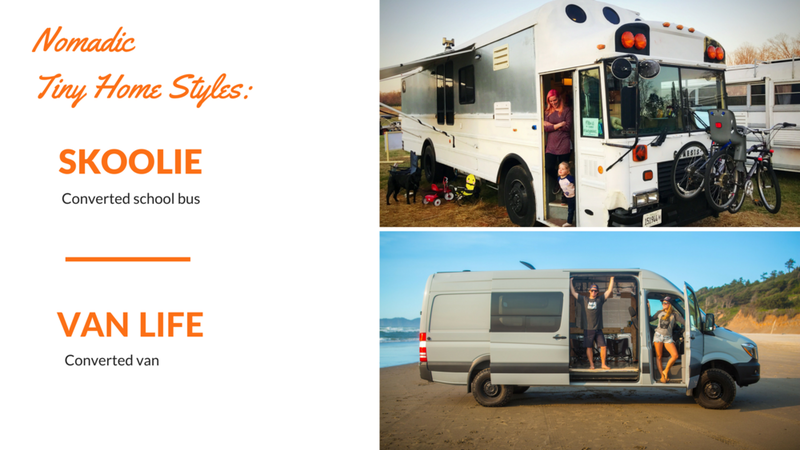 For them, van life allows them to pursue their passion and to keep open hearts & minds. Home literally is wherever they park it. 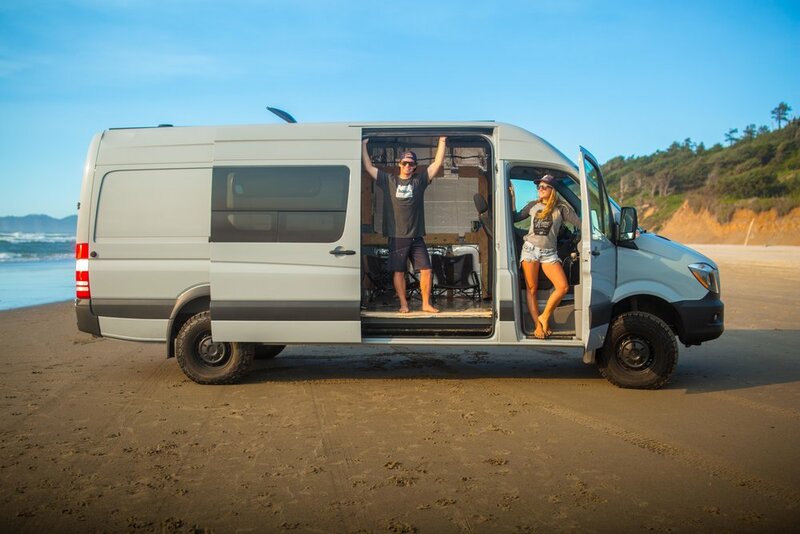 One of their favorite “homes” is the Oregon coast, where Wes shreds waves on his kite-board and Savanna chases him in their van. Meet Ariel McGlothin, a homesteading and wildlife photographing enthusiast. She gives us a glimpse into her off-grid tiny home life in the mountains of Wyoming. Home for Ariel means a cozy space of her own, the gorgeous Wyoming landscape and her freedom to live life to the fullest, her own way. CAUTION: Your fantasy bubble may be burst! This is a REAL-world view of what it takes to run a sustainable, off-grid homestead. Ariel also converted her Astro Van into a delightfully simple and functional adventure mobile. This is her second (tinier) home/camper van, perfect for her wildlife photography adventures across the mountains of Wyoming. It also serves as an essential lifestyle tool for her off grid Tumbleweed tiny house on wheels nestled in the woods, outside the Bridger-Teton National Forest. Makers & minimalists, Cheyenne and Blake are a Tulsa based couple creating a different kind of home, their new ticket to adventure. 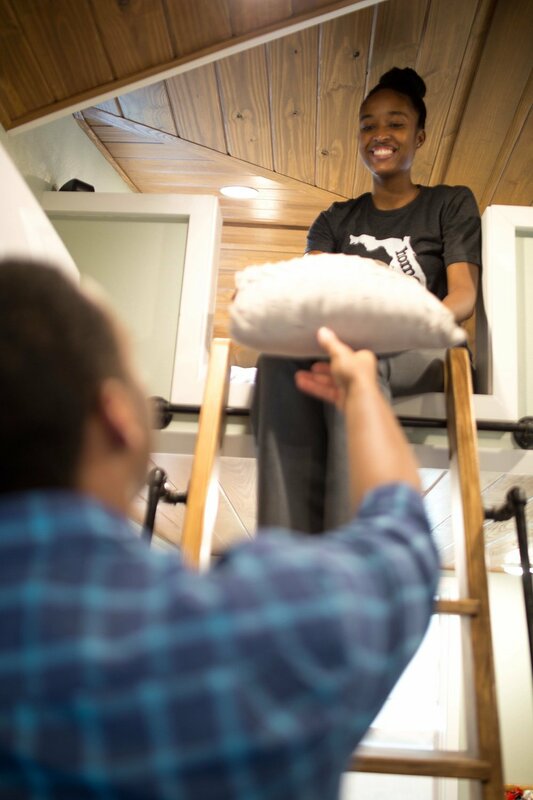 Their Bluebird Adventure is a skoolie in the making-- converting a school bus into a tiny home on wheels. Forty feet of possibilities! Their bus sits next to Blake's shop in the backyard of their "big" 1100 square foot house. 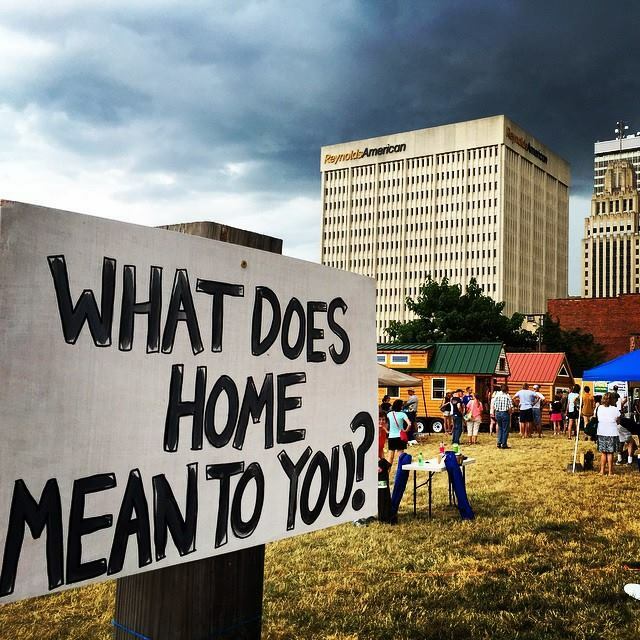 The plan is to travel and explore the country with their mobile home but Tulsa, OK, will always hold their hearts and serve as their home base.